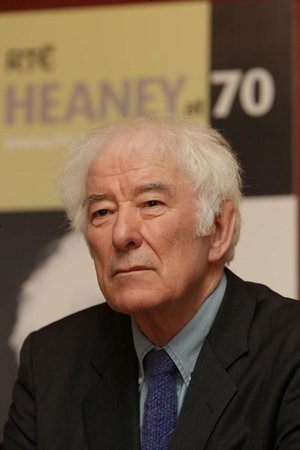 Seamus Heaney was born on 13 April 1939 – tomorrow would have been his 80th birthday. This time ten years ago, there was “a mostly benign avalanche” (to borrow a phrase of his own) of activity to mark his 70th birthday – a specially commissioned Irish Times supplement; a day-long broadcast of his poems; a documentary film, Out of the Marvellous; a huge party at the Irish Museum of Modern Art – with the faintly bemused man himself at the centre of it all. It is poignant to recall that time now, almost six years after his death, but the intervening years have done nothing to diminish people’s connection to his work, and to the person behind it. You see it every day in the comments left by visitors to the Seamus Heaney HomePlace in Bellaghy, Co Derry, or the NLI’s Listen Now Again exhibition in Dublin. It’s there in the minds of readers and students as they encounter his work on the page or in the classroom, in the hundreds of ‘likes’ every day for lines quoted on Twitter; in the responses of new generations of writers to his work. If anything, that connection has deepened. Tomorrow’s anniversary will be marked with a number of moving tributes. At the HomePlace in Bellaghy, the composer Mohammed Fairouz will present the UK and Ireland premiere of Anything Can Happen, based on three Heaney poems, with readings by Bríd Brennan and Adrian Dunbar at a very special sell-out concert. There will be a poetry reading with music from Colm Mac Con Iomaire, free to attend, at Listen Now Again in the Bank of Ireland Cultural and Heritage centre in College Green, at 2pm. Meanwhile, commuters in Dublin and travellers across the Irish transport network may have seen lines of poetry on displayed buses, trams and trains over the past week or so – as featured on RTÉ Radio One’s Arena on Tuesday – and BBC Radio 4’s Front Row will devote tonight’s programme to Heaney, using archive and interviews – tune in at 7.15pm (also available online). Inevitably these commemorations are tinged with sadness: they make us wish he was here with us to celebrate another decade. But they are also a reminder of the great gift of his words, and urge us to go back to the place he can still be found – in the poems themselves. As long as people keep reading them, he will be alive in our imaginations.